You are not required to have homeowners insurance unless you have a mortgage. Your mortgage lender requires borrowers you to have the basic amount of coverage to protect their interests in case of a total loss. Most people, especially here in Florida — where tropical storms, flooding, and hurricanes can be a concern — will insure their homes regardless of whether their home is paid for or they have a mortgage. What happens if you don’t have homeowners insurance in the event of a disaster? If your house is damaged by a fire, hurricane, tropical storm, tornado, thunderstorm, or some other natural disaster, and you do not have property insurance, you are financially responsible for all damages incurred. This means you will have to pay for expenses such as fixing your roof, rebuilding the home, and any other personal property lost, such as clothing, TVs, electronics, and so on. Without insurance, you do not have any financial security in place. While some policies might only cover the basics with high deductibles, having some insurance protection is better than none. To illustrate, think back to when Hurricane Irma hit Florida this past fall. It did considerable flooding and damage to homes all across the state. The extent of damages ranged from total losses — where homes were completely destroyed — to minor structural damages with a few broken windows or some missing shingles off the roof. 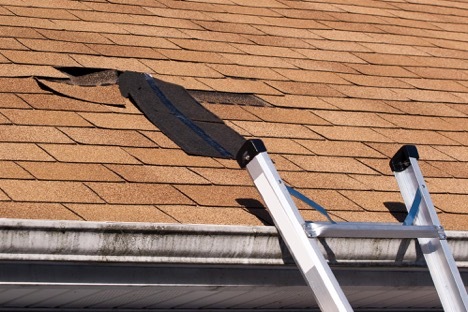 If you did not have insurance and were fortunate enough to only have minor damages, then your expenses would only have been to replace the lost shingles or broken windows. On the other hand, if your home was irreparably damaged, you would have to start over and rebuild your home, incurring all expenses associated with the loss. What happens if my homeowners insurance lapses? In cases where you have coverage and, for whatever reasons, you miss a premium payment, one of several things can occur. First, your insurance company may cancel or suspend your policy until the payment is made. During this time, if you experience any losses, whether they are minor or major, you don’t have any protection. All expenses and costs to replace and repair damaged property are yours alone. Depending on the type of coverage you had, and how long you let it lapse, your insurance company could decide they no longer want to provide coverage. If this happens, then you would have to go to one of the “high risk” providers, which typically have higher premiums. Then you must maintain continuous coverage for at least a year, sometimes longer, before other insurance companies would even consider underwriting a new policy through them. The exact type of property covered under an insurance policy will vary on the type of coverage one purchases. There are standard policies that only cover the structures on your property (i.e., house, garage, sheds, etc.) but not the contents. Then there are policies that cover both the structures and contents. 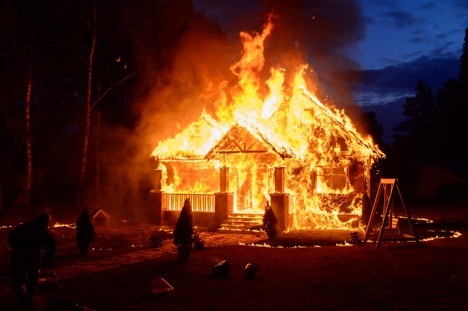 In general, most policies will cover accidental damages to the home and surrounding structures for most types of events. Even in cases where you or someone in the home causes the damages, as long as it was accidental, your insurance will reimburse you for damages. What is not covered under basic property insurance? One common mistake people make when they purchase homeowner’s insurance is not reading the fine print or asking questions about specific types of coverages. It is only later, after a natural disaster or some of catastrophe, that they discover they are not covered. There are separate coverages for specific types of damages, such as floods, mold and mildew, hurricanes, and more. Making assumptions about your policy is never a good idea. It is better to verify with your agent that your home is protected for flooding, fire, theft, hurricanes, tropical storms, and other such events. Another mistake people will make is underinsuring their homes. Many property values have increased in several areas in Florida since the great housing crash of the mid-2000s. You need to verify the current value of your home, how much it would cost to rebuild in the event of a total loss, and confirm you have sufficient coverage. With contents, people will mistakenly opt for cash value coverage believing they will get the current cash value for any damaged personal property. However, this is not how this type of coverage works. Rather, the insurance company will assess the cost you initially paid for the item, then deduct depreciation based on the age of the item. Any remaining value is what they reimburse you after subtracting out your deductible. For example, say you purchase a 55-inch flat screen TV in 2015 for $800. During Hurricane Irma, a tree branch was thrown through your living room window and into the TV. You file a claim for the damages to your home, along with the TV. Your insurance company will deduct two years of depreciation from the initial $800. For our example, we will say the TV has a 5-year depreciation period, which means it loses $160 in value every year. So, rather than getting $800 to buy a new TV, you would only get $480. To ensure you got the full value of the TV at current rates, you would need replacement cost coverage. With replacement cost coverage, current values are used to assess how much you are paid. Going back to our TV example, let’s say a comparable TV costs $1,000 today. Your insurance company would reimburse you $1,000 minus any deductibles to replace your TV if you had replacement cost coverage. Keep in mind, these are just generalized examples to illustrate how cash value coverage and replacement cost coverage on contents works. How are deductibles applied to insurance claims? Most homeowners insurance policies often have more than one deductible based on how the home was damaged. Some people mistakenly assume they have the same deductible for all covered events, which is not always the case. For example, you could have one deductible for most major events, like fire, theft, and thunderstorms. Then you could have another deductible for flood damages, and yet another for hurricane damages. When you file a claim for damages, your insurance company will determine what policy it falls under based on how the damages were caused. For instance, if your home was damaged during Irma, and you file a claim for damages, then your hurricane coverage deductible would apply. On the other hand, if a brush fire set your home on fire, then your standard policy deductible would apply. In addition, the deductibles for floods and hurricanes can be much higher than your standard deductible. You might have a $500 deductible on your standard policy, $1000 on your hurricane coverage, and $2,500 on your flood coverage. Your policy will clearly spell out the deductibles for each type of coverage. If you are not sure what they are, ask your insurance agent. It is worth mentioning you can request to have the same deductible for all policies on your home. Just keep in mind, with lower deductibles, your premiums could be more for certain types of coverages. You expect your insurance company to be there when you experience a loss, and that it will reimburse you for your damages. After all, you are paying them money every year to insure your home and contents are protected against property damages. Yet, not all insurance companies truly work in their customers’ best interests. You need to remember, insurance companies are businesses and most have shareholders that expect the business to earn a profit. Insurance companies make money when they are not paying out money on damage claims. If they can deny a claim for some reason or disallow certain damages and pay less, then that is better for them. Another point to remember: Your insurance company has its own team of insurance claims lawyers that advises them on how to attempt to get you to settle for the least amount. Another common cause for lowballing reimbursement amounts stems from claims adjusters not familiar with replacement costs here in Florida. When there is a major natural disaster like Hurricane Irma, insurance companies will bring in adjustors from out of state. These adjustors are more familiar with costs in their state and the local area they normally serve. It is not uncommon for them to assume the costs to rebuild a home here in Florida are the same. So, it easy for them to report rebuilding costs for your home are only $150,000, even though you live in Key West and the actual costs to rebuild the home are $250,000 or more. Furthermore, most adjustors are not familiar with hurricane coverages you might have, like storm damage cleanup, temporary payments for housing, and others. As a result, many of the coverages you have in place could get overlooked, so the initial settlement offer you receive is very low. 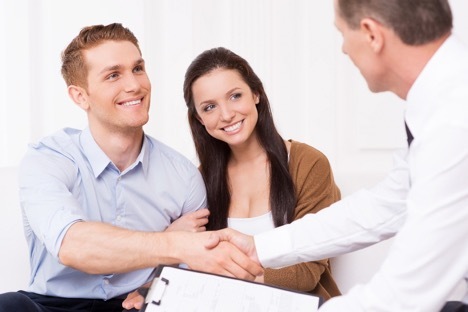 It is for these reasons, as well as your own peace of mind, it is always in your best interests to get an honest opinion from your own insurance claim lawyer. Your lawyer will review your policy and what you are being offered, and will even come to your home to see the damages first hand. Afterward, they will give you their legal advice and tell you whether they believe you are entitled to more than you are being offered. From there, you can retain their services to guarantee you get the best settlement from your insurance company. If you have a homeowner’s insurance claim dispute or want to get a second opinion before accepting your insurance company’s settlement offer, please feel free to contact Silver, Bass & Brams at 1-888-897-1786 today to schedule a FREE consultation. Our lawyers work aggressively and in our clients’ bests interests to get them the settlement they are entitled to receive. Plus, we don’t get paid until you get paid.